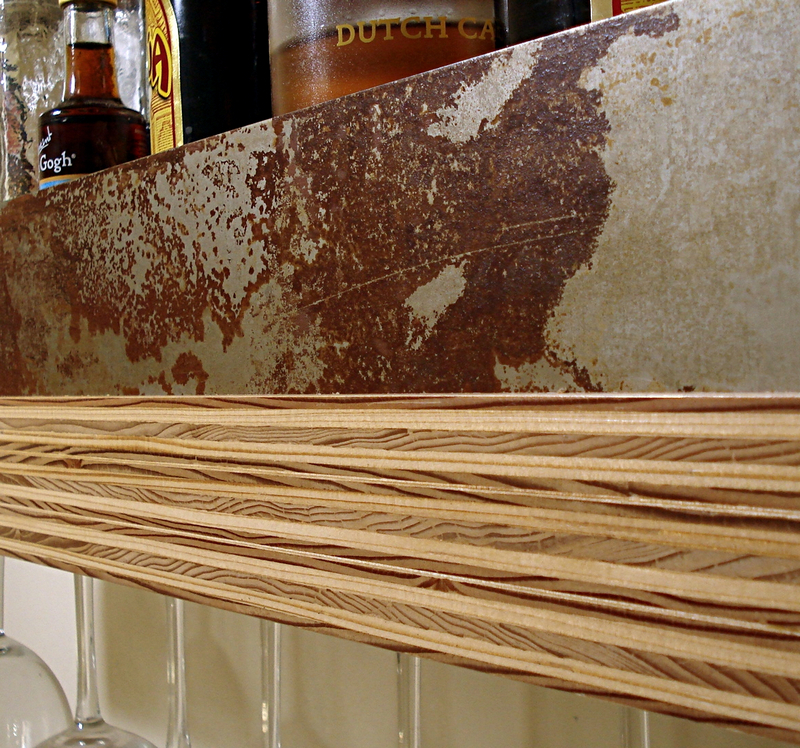 This birch plywood shelf exposes the interesting layers of plywood that are finished with semi-gloss lacquer smooth to the touch. 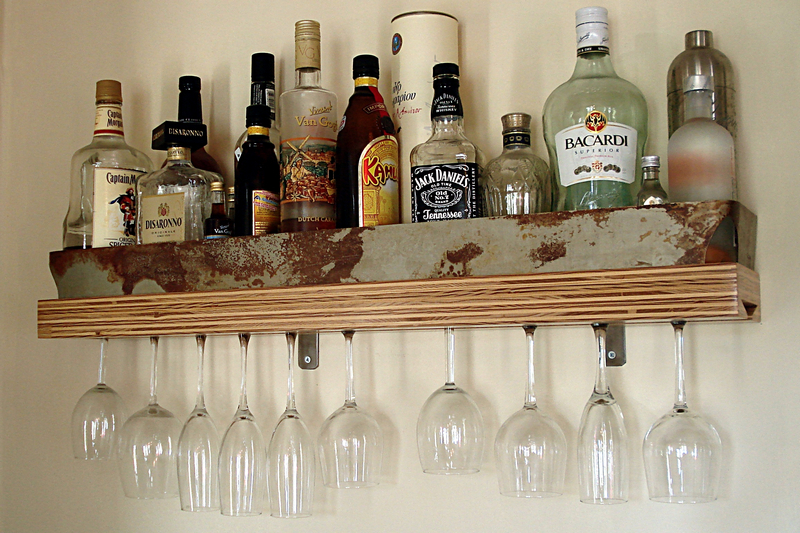 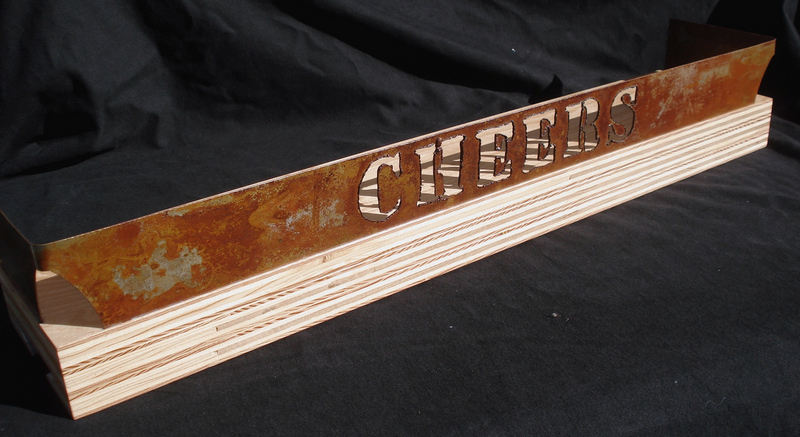 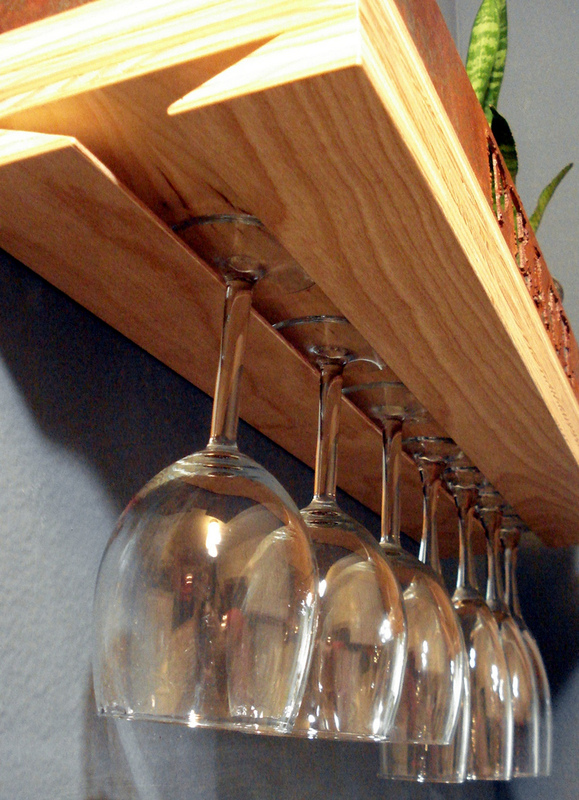 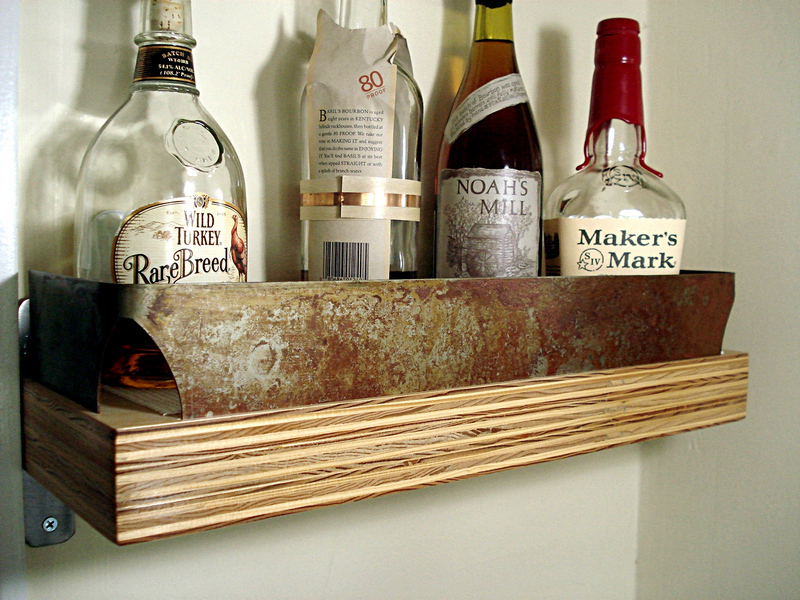 Topping the shelf is a thin band of rusted metal unique to each piece. 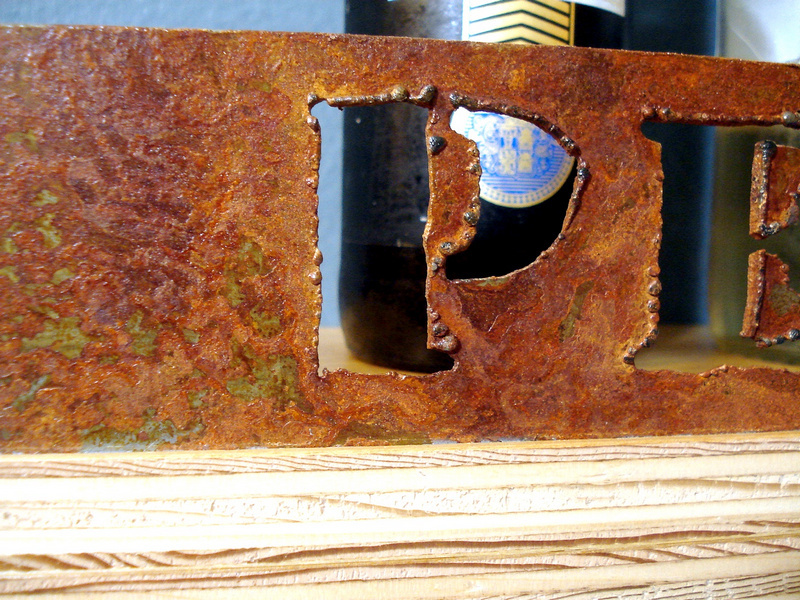 The steel is rusted over a few days then sealed with a clear spray. 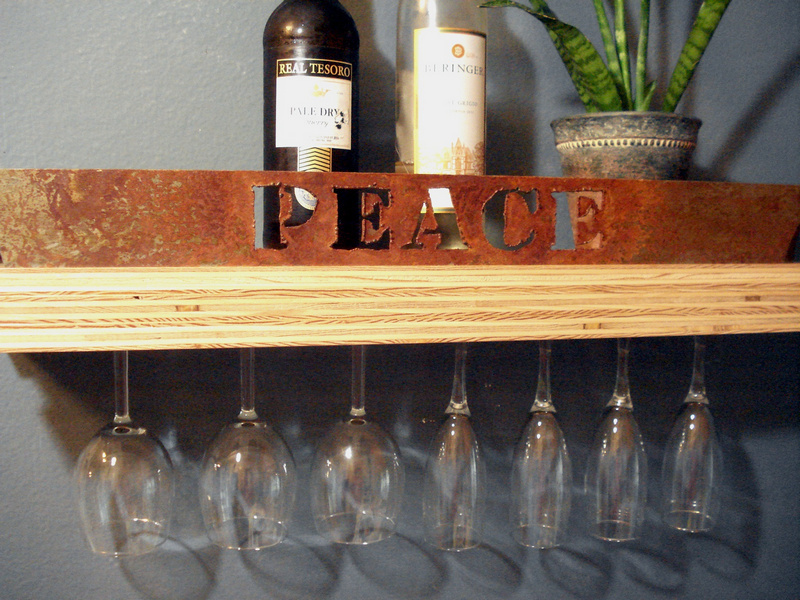 This entry was posted in For Sale, Metal, Wood and tagged plywood, rust, shelf on November 29, 2013 by Wiskow.